Interested in a thicker, better tasting premium Caesar mix? Meet Walter Craft Caesar Mix. Since its introduction in 1969, the Caesar has truly been Canada’s cocktail. Yet, the vast majority of Caesars are made with a watery mix containing added Monosodium Glutamate (MSG), colouring, and high-fructose corn syrup (glucose-fructose). That’s a problem. So Walter came to be. Proudly crafted in small batches here in Canada, the premium Caesar mix is made using vine-ripened tomatoes, grated horseradish, Worchestershire and hot sauce, select spices, and real clam juice from the North Atlantic. 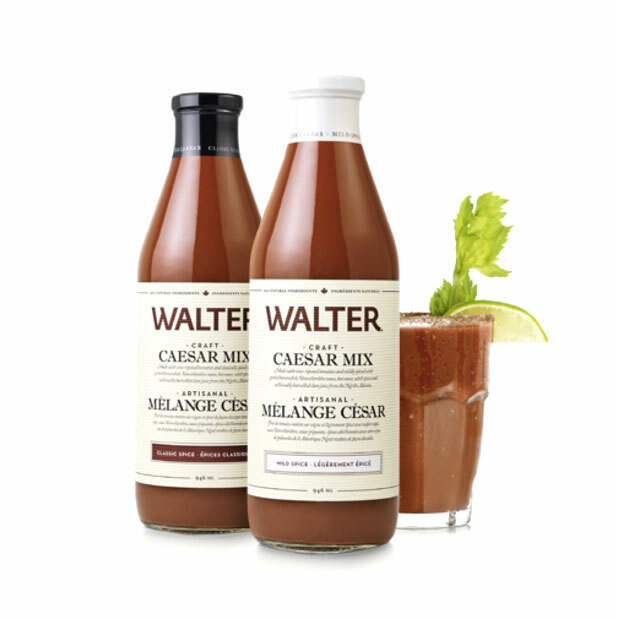 In fact, Walter is proud to be Canada’s first Ocean Wise™ recommended Caesar Mix.